Connie's Hummingbird is a painting by Wanda Pepin which was uploaded on August 5th, 2009. Painted for the artist's best friend, who loves hummingbirds. Lots of color and even some shiny feathers under the neck. Beautiful work..Congratulations on your sale! Hello Wanda, How stunning! I love hummers. This is so lifelike. She is a beauty. The flower and then the background of like colors are a wonderul addition. Congratulations on your sale! Beautiful Wanda, Congrats on your sale!! How beautiful..... Congrats on your sale, Wanda ! Beautiful! My favorite little bird! Congrats! Well-done! 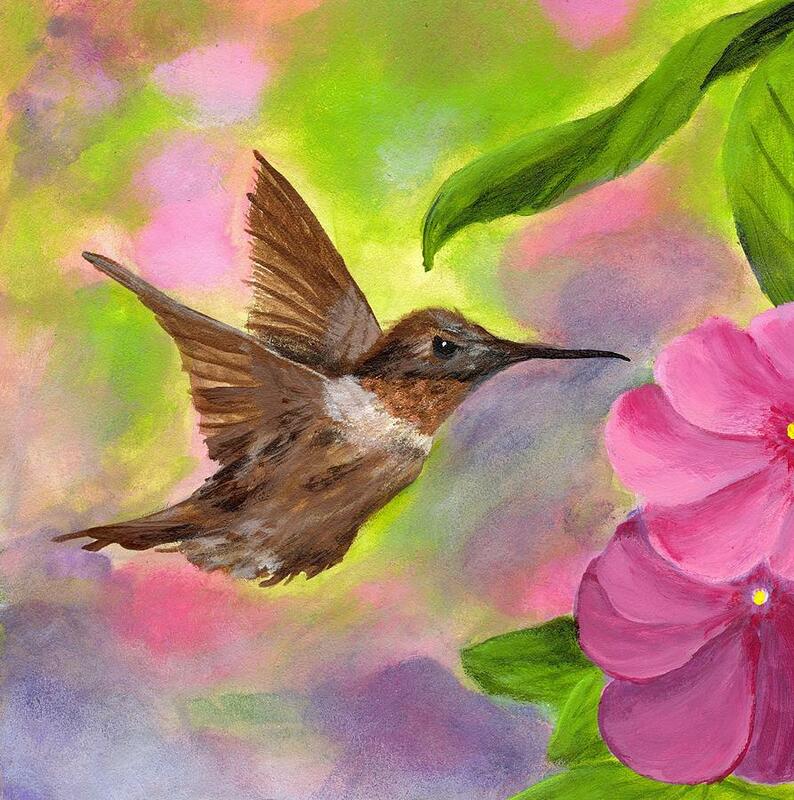 A beautiful image created in acrylic, Wanda! 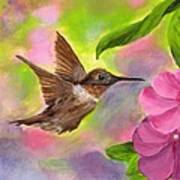 Love the soft colors and the hummer is perfectly captured in all its natural beauty. Got my F/V on this beauty! Beautiful artwork, Wanda, congrats on your sale! thanks for all your kind comments! 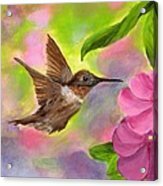 My friend Connie loves hummingbirds and I did this for her. She really liked it which was quite rewarding. This painting is so lifelike it is like looking out on my own garden! Just BEAUTIFUL! Amazing Talent!